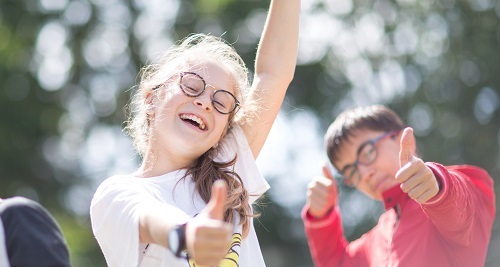 A unique summer experience combining English language tuition with a wide choice of sporting, creative and academic courses provided by professionally qualified and experienced tutors. Embassy Academy is a perfect international environment to practise English, make new friends and explore the British culture. 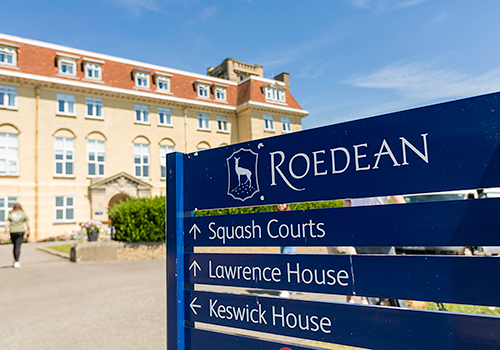 For the summer of 2019, our Embassy Academy programmes are running at Roedan school, located on the beautiful coast of East Sussex and is one the most prestigious boarding schools in the UK. 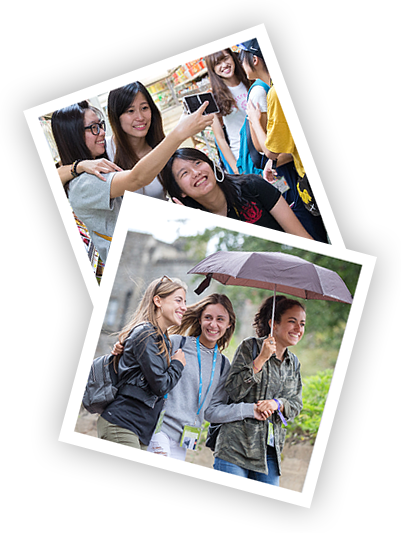 An extensive all-inclusive package of language tuition, accommodation, excursions and on-site activities. English language tuition from qualified and friendly English teachers. 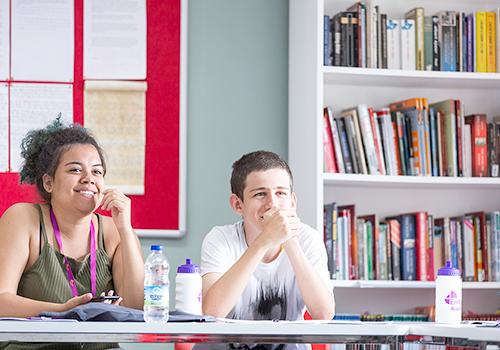 15 hours of English tuition a week with small class sizes ensuring personal attention. A safe and secure environment with a staff to student on-site ratio of 1:5. 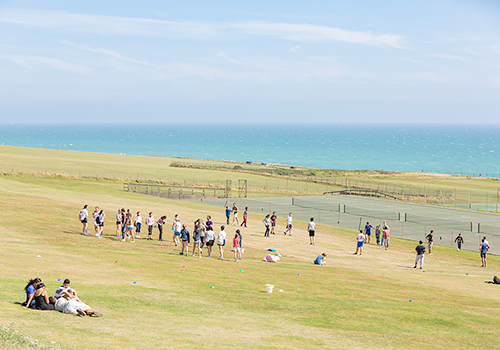 10 specialised courses to choose from including for example golf, dance, sailing and horse riding. Students have the choice to stay from 1 to 4 weeks with the flexibility to change course each week. 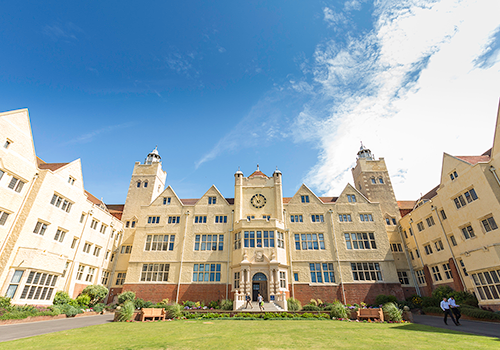 This stunning and prestigious boarding school was originally founded in 1886 and is one of the most well-known independent boarding schools in the UK. 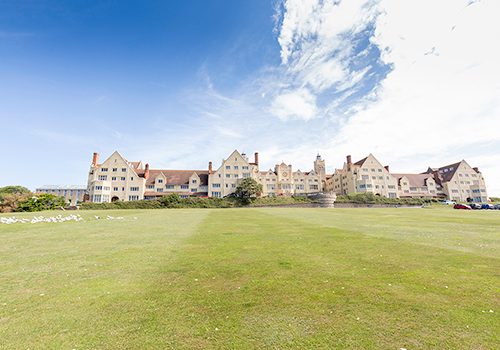 The school is surrounded by 40 acres of playing fields and has got brilliant sports facilities such as tennis courts, a large indoor sports hall, dance studio and an indoor swimming pool with spectacular views out to sea. The recently renovated boutique style boarding houses for students consist of mostly single rooms, with limited multi-bed rooms available. 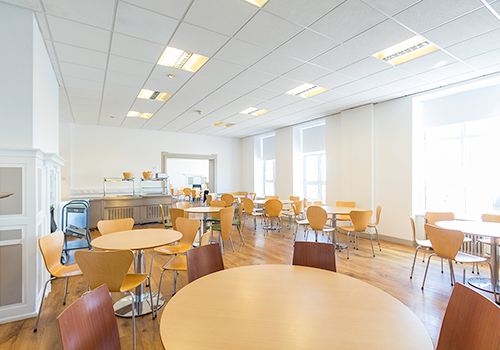 All meals are provided in a modern dining room where healthy and balanced meals are served. 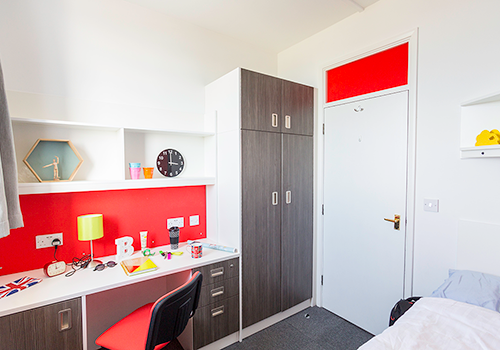 The bedrooms are equipped with a bed, desk, wardrobe and chest of drawers for each student. There are shared bathrooms and showers in each house with a ratio of approximately 1:5. Boys and girls are accommodated in separate houses or floors and are well supervised by House Parents. Each house has a common area, which will be open at specific times under supervision. The common rooms have flatscreen TVs and comfortable sofas and games. 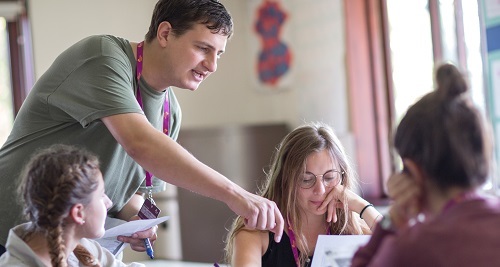 Our experienced and qualified teachers are key to ensuring a successful Embassy Academy summer. 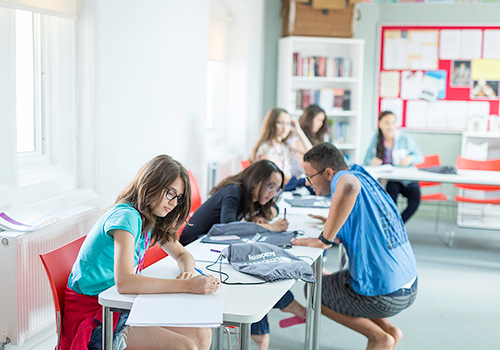 They create a productive learning environment through engaging, inspiring lessons and the small class sizes also mean that students will benefit from individual attention providing a great opportunity to develop and progress. * Except Summer Academic Study which consists of 23 hours of subject based lessons. 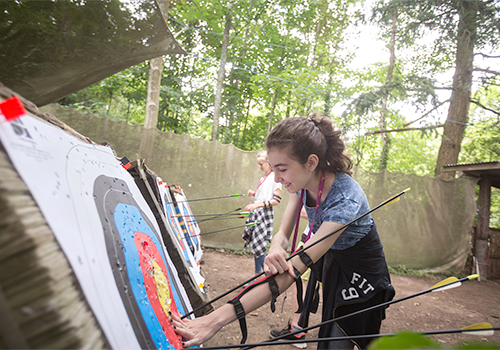 Each week students receive 8 hours of professionally taught specialist activities. 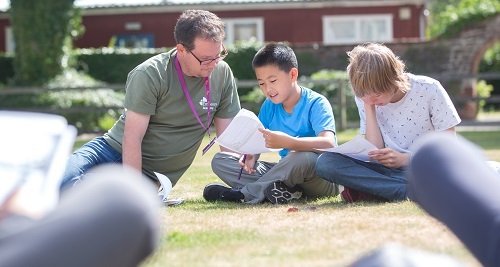 Specialist activities are run with small group sizes to maximise personal development. At weekends, students are taken on local trips and excursions to iconic destinations. Students at Warminster can visit the cathedral city of Salisbury, the Roman city of Bath and the world heritage site of Stonehenge. 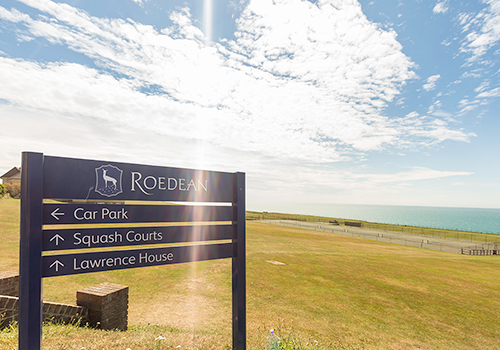 Roedean students are within easy reach of cosmopolitan London as well as trendy Brighton. 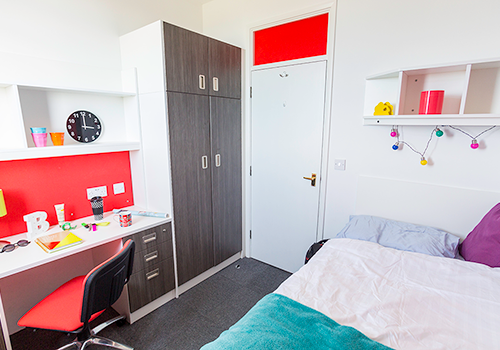 The accommodation is made up of various boarding houses and mostly shared rooms that are homely and comfortable and give students a chance to make new friends. 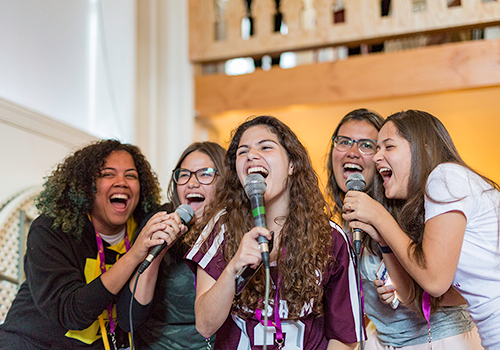 Each boarding house has a house parent who builds relationships with all the students in that house, waking them up each day, making sure they eat well and are happy and participating. Our students can talk to their house parent about any problems they may have. A UK registered nurse visits regularly to address small medical needs. For other medical issues, we will transport the student to the nearest doctor or hospital. 24 hour support: Anyone who has questions or needs any kind of support can speak to our staff at the centre, or contact our dedicated Academy 24-hour emergency telephone number. 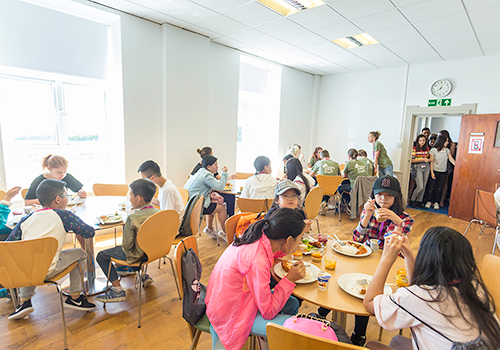 A range of healthy British food and international cuisine is available at our Academy schools with three meals served per day. Additional snacks and drinks are also available twice a day during the break time. On full-day excursions packed lunches will be provided. Arrival: Embassy Academy provides a dedicated meet-and-greet and transfer service for all students to ensure their comfort and safety. Departure: We provide a departure transfer for all students and our team will also assist students checking in at the airport. All students travelling abroad must have adequate insurance in case of a medical or other emergency. Embassy Academy offers a comprehensive insurance policy called StudyCare, which is specifically designed to meet the needs of international students. Our International Student Ambassadors give our students the opportunity to interact with British students for an even more authentic and valuable experience. This new initiative proved a great success at Warminster during the summer of 2018 and we are pleased to introduce this concept in both our academies for 2019. 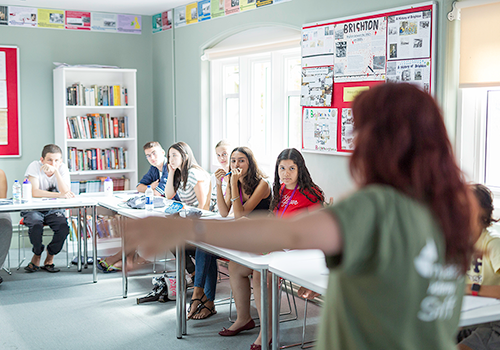 Our International Student Ambassadors (ISA’s) are local students between the ages of 13-17, who welcome our academy students and give them an insight into life growing up in the UK. 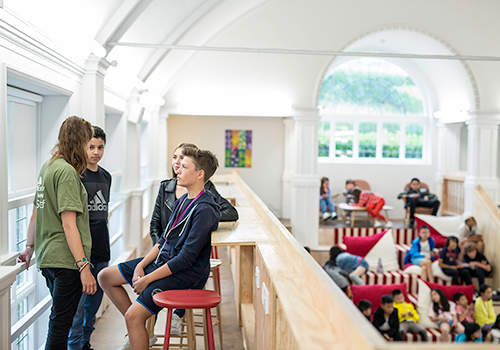 The ISAs will be integrated into our programmes and spend lessons, activities and free time together with our Academy students, to help them settle into their new environment and make English friends that are their own age. 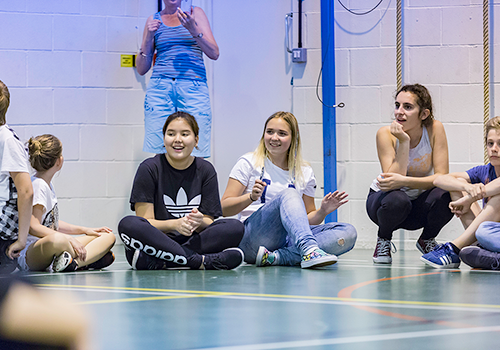 Each week students receive 8 hours of professionally taught specialist activities from from experienced and qualified coaches. Specialist activities are run with small group sizes to maximise personal development. Students will be trained in a variety of techniques and skills, and will be able to showcase the results to the rest of the school at the end of each week at the Academy Art Exhibition. The course will take place in an art studio at the school, with occasional field trips or visits to a local art museum or exhibition. All instructors are specialist art teachers whose qualifications and experience are recognised by both British state and private school systems. 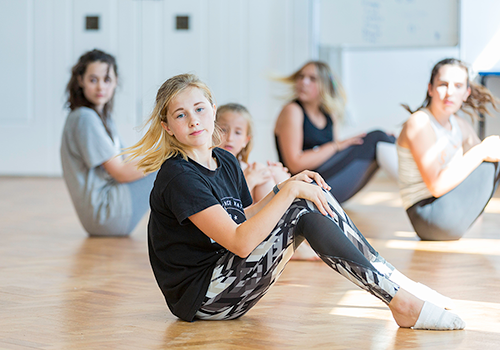 Dance offers a varied programme according to each student's abilities, skills and interests. They will get to showcase what they've learned at the weekly Academy Showcase for the other students. Our teachers are all professionally qualified to teach at a variety of levels. Programme focus may be chosen from: contemporary, modern jazz, street or choreography. Instruction takes place at a local professional golf club. The facilities are excellent with full length practice range, practice bunker, chipping and putting greens. Advanced students may play the course itself. The PGA coaches can cater for all abilities including high level players. 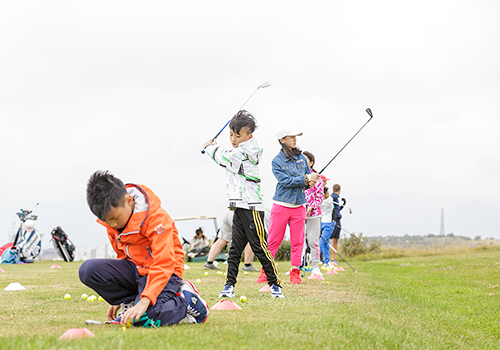 Programme focus will be chosen from: putting green, chipping green, fairway bunker, driving range and team games. 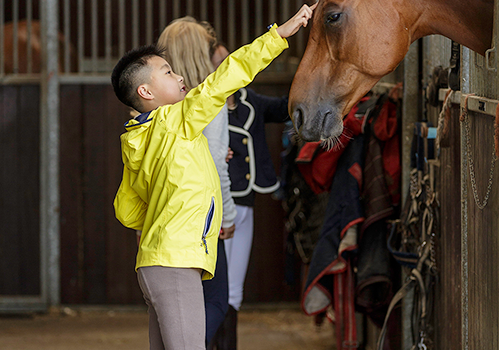 All students will receive an ability test on their first day at the riding centre. 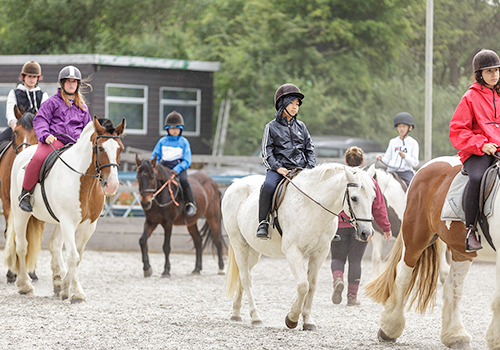 Our professional instructors will create a programme adapted to the students' abilities and select a horse or pony accordingly for the week. Stable management will also be a part of the programme. Students will learn English using our engaging curriculum and cutting-edge technology. We maximise the use of technology and interactive whiteboards in the classrooms to ensure an engaging and dynamic class so that all students use English as much as possible. The focus will be on language skills and project work. Our classrooms are multi-lingual, so students must use English to be understood. The course is overseen by a qualified Director of Studies. 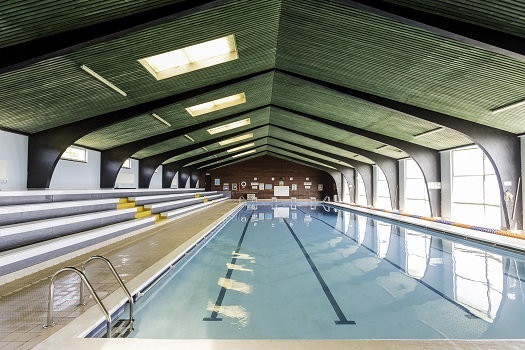 With swimming pools available as well as fantastic sports facilities and spacious grounds, our activities team organise a different combination of sports and activities every day to ensure a varied week. 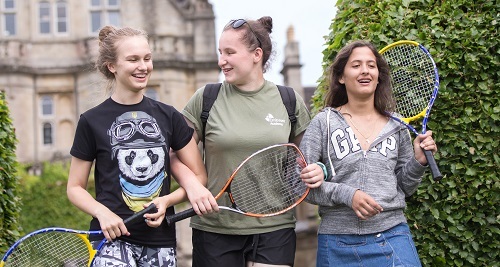 Students will spend 2 hours per day over 4 days participating in a selection of activities that may include tennis, football, swimming, as well as treasure hunts and team games. 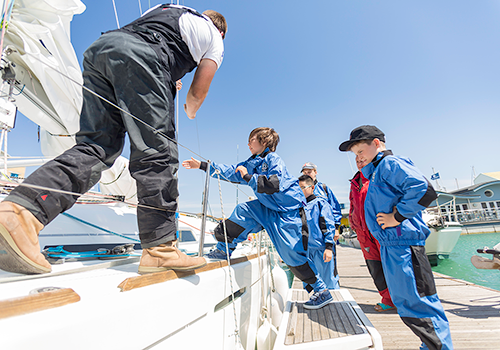 This programme gives students the opportunity to take advantage of fully qualified and experienced instructors – accredited by the Royal Yachting Association. 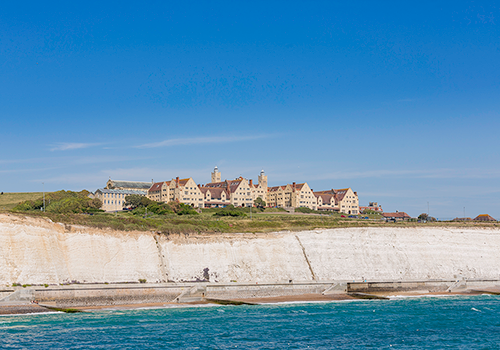 Students will take to the water at the Hove Lagoon as well as the English Channel. They will learn basic nautical skills as well as getting to sail in a variety of boats. Buoyancy aids are provided. Students will be awarded RYA level 1 dinghy certificate, or higher depending on their level and boats used. This programme teaches a variety of subjects, including maths, science, art and humanities. 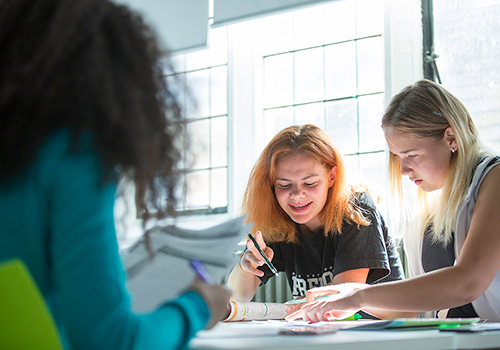 It's ideal for students who are currently at intermediate level English or above and who want to experience what it would be like to study in an English school or to prepare for further study at English speaking school, college or university. Students who book onto this programme will be asked to take a short online level test in advance to verify they are intermediate level. If their level is seen to be less than intermediate, we will recommend an alternative, such as Intensive English. 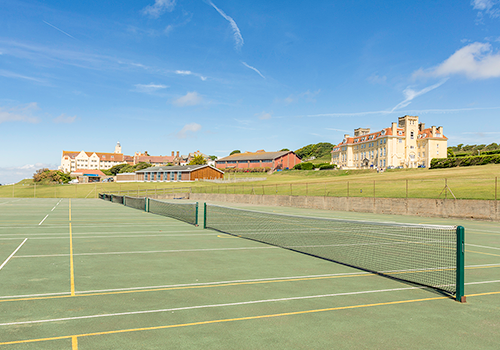 Each student will be evaluated on the first tennis session as to their level of play. 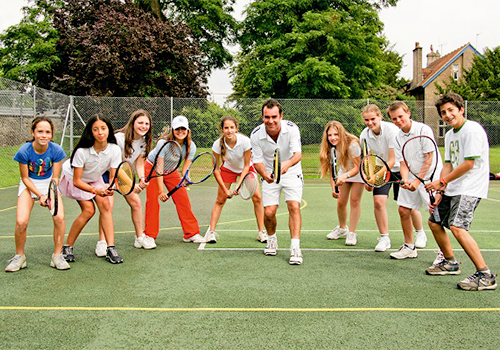 Our professional coaches are all Lawn Tennis Association qualified. Level, 2, 3, 4 and 5 coaches are provided for the more advanced students. 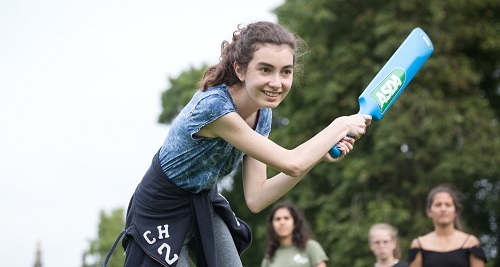 Our coaches will ensure that students learn and practise a variety of skills and techniques, including serving, volleys, shots and etiquette on the court. During this course students’ will enjoy four exciting activities that take place out in the stunning woodland with support and help from experienced and qualified instructors. Book your Embassy Academy course today! Contact us with any questions you may have or if you want to book. Our Student Enrolment Advisers speak a variety of languages and we will do our best to contact you in your preferred language.